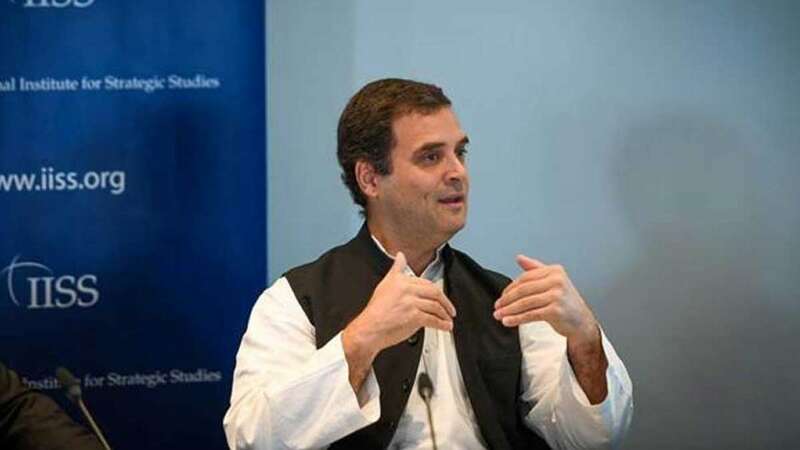 Tamil Nadu : Attacking Prime Minister Narendra Modi for one more time, Congress President Rahul Gandhi on Friday said that our PM brand 'Make in India' but in reality Indian markets are full of Chinese products. Rahul Gandhi, addressing a rally in Tamil Nadu, said, “He (PM Modi) gave you an empty slogan of Make in India but wherever we look, we see Made in China products.” He added that now he wanted to see ‘real made in India’ and ‘real made in Tamil Nadu’. He also targeted PM Modi over higher rate of unemployment, saying that a huge amount of money is given by the banks to the rich people, but if a normal person wants loan from the bank he needs to go through several hurdles. “Under Make in India, if a young Tamil entrepreneur wants to start a business he has to knock on the doors of different government offices to pay bribes,” adding that by the time he got all the required permission, his business would already have failed. In contrast, he said, his party’s poll manifesto talks of a new idea. “When you want to start a new business you will not have to take permission from any government department for three years. Take permission once your business is established,” he offered by way of explanation. Rahul Gandhi sharpened his attack by saying that PM Modi has hugged almost every corrupt businessman but he has no decency to meet or greet the protesting farmers outside his residence. He promised that the Congress will remove GST, replacing it with a simpler tax, if it was voted to power.